HDUF series component sets are characterised by their extremely flat construction. They are used to achieve high gear ratios in combination with a very short construction length and a low weight. Flat gears follow the principle of strain wave gears and have a simple structure. 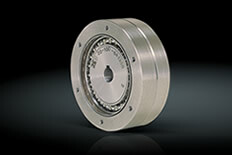 They are ideal for use in differential applications and with positioning drives. The short axial length of the flat gears in the HDUF enable maximum gear reduction in a very small construction space. Flat gears are particularly suitable for dynamic servo systems and also as differential units for phase adjusters and speed controllers. Their ease of installation and maintenance-free operation are further reasons for using this kind of gear in all fields of mechanical engineering. Intermittent motion cycles at low torques are the classic application for the highly compact HDUF flat gear series. In the HDUF series of flat gears, an extra element is applied to the functional principle of the Harmonic Drive® strain wave gear. The dynamic spline (DS) is a hollow wheel with internal teeth - the same number of teeth as the flexspline. This component rotates in the same direction and at the same rotational speed as the flexspline and is used as an output element in speed reduction configurations. The dynamic spline differs from the circular spline by the chamfer in the external circumference. The flat gear in the HDUA series is a differential gear of compact and simple construction. It is able to implement high gear ratios over a very short axial construction length. Its coaxial input and output make it ideal as a differential gear for phase adjusters and speed controllers. 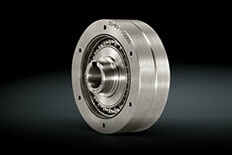 It is available both as a component set and as a unit with an integrated bearing. The HDUR series component set is a flat gear system with very high torque density. It is characterised by a high gear reduction with a small axial construction length. 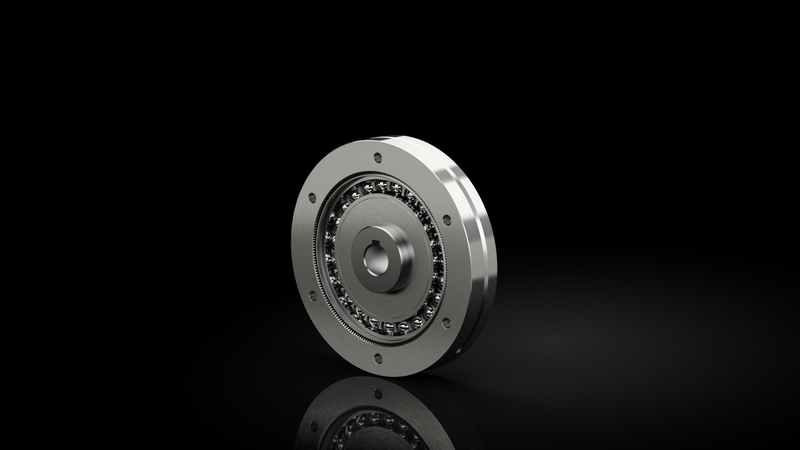 Thanks to the two-row wave generator bearing and larger tooth mesh length, this series has the highest torque density of all Harmonic Drive® flat gears. The HDUR series functions in accordance with the strain wave gear principle and transmits rotational motion with high positioning and transmission precision.